This former Tim Horton's on Route 1 in Scarborough will be transformed into the third Holy Donut location. New eateries are popping up all across Scarborough, with the opening of O’Reilly’s Cure in Oak Hill last month, to a proposed new 76-seat restaurant in Dunstan, to the Holy Donut announcing it will take over the former Tim Hortons near the entrance to the Haigis Parkway. One reason new restaurants are coming to town is that Scarborough’s demographics are attractive, said Karen Martin, executive director of the Scarborough Economic Development Corp.
“Scarborough is home to 20,000 people. That’s a built-in audience of relatively affluent households that can support a variety of restaurants in different price ranges,” she said. “The success of El Rayo in the Scarborough market is also making people in the business sit up and take notice,” Martin added. The popular El Rayo Taqueria restaurant, based in Portland, opened a second location in Scarborough’s Oak Hill neighborhood in the summer of 2014 and it’s still going strong. Martin is especially happy about Holy Donut’s expansion into Scarborough. “As soon as that site came on the market, we suggested to the property owner that the Holy Donut would be a great fit. We’ve been working directly with the Holy Donut on the logistics of the site, and I feel like all the ingredients are there to help the company achieve their business goals,” Martin said this week. Leigh Kellis, founder of the Holy Donut, said she and her two business partners “have felt drawn to Route 1 in Scarborough for a couple years. It’s a great stretch connecting Portland to the beaches and seemed like the perfect spot” for a new store. 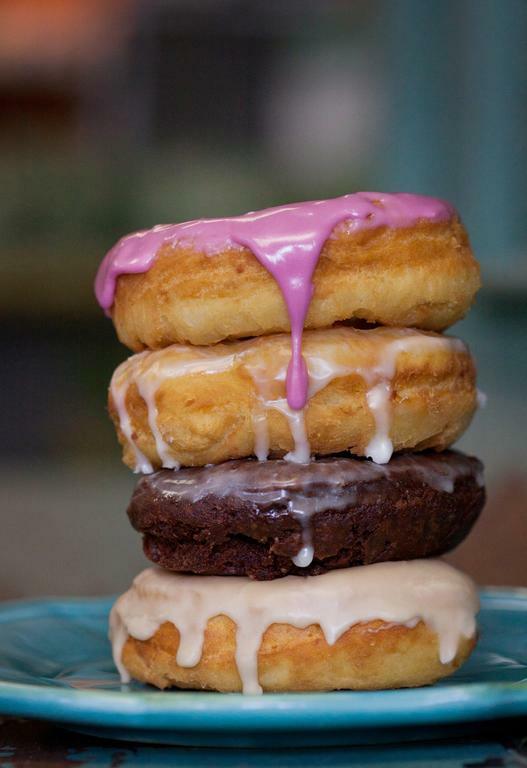 The Holy Donut offers handmade doughnuts that are made from scratch using all-natural ingredients, particularly Maine potatoes, which give the donuts “a delicious moist texture that makes them just melt in your mouth,” according to the company’s website. Kellis started Holy Donut in Portland in 2012. Since then she’s opened a second Portland location and has grown her business to more than 40 employees who make a million doughnuts a year. The goal, she said would be to employ about 15 full- and part-time people there. When Kellis first started her doughnut adventure, she never expected to have three locations and more than 40 employees. “It started very small and has grown beyond expectations, but I embrace it (all),” she said. When the Scarborough Planning Board meets next week it will take up site plan review for another new restaurant being proposed in town. Called Table & Tap, the eatery would be the first commercial building in the Dunstan Crossing neighborhood, which reaches from Broadturn Road to Route 1. Under a master plan first proposed in the early 2000s, local developer Elliott Chamberlain is building a huge planned neighborhood that includes single-family homes, along with condos, town houses, duplexes and now apartment buildings. In addition, Chamberlain’s plans call for the construction of small retail shops, professional offices and at least one casual dining restaurant. 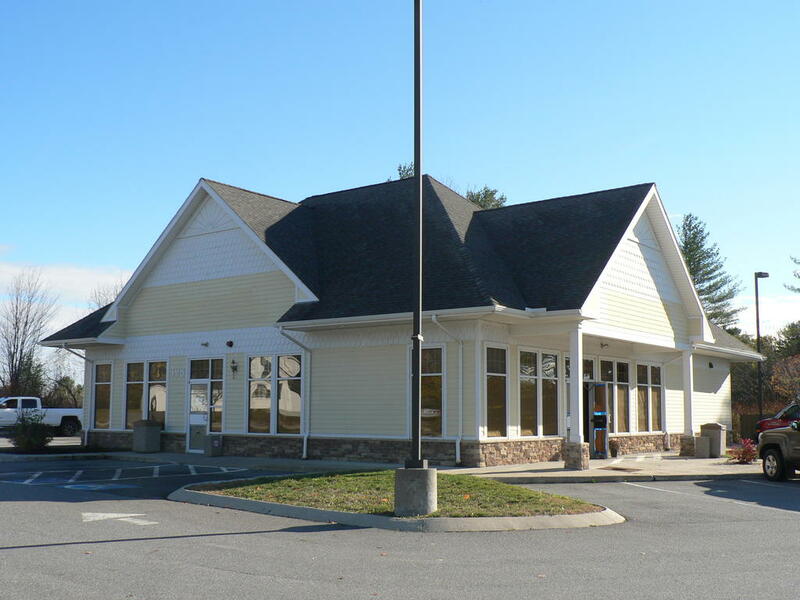 The apartment units and commercial facilities, such as Table & Tap, would be accessed off Route 1, near the Saco town line. Table & Tap would include seating for 76, a bar and a seasonal outdoor patio, according to the initial plans presented to the Planning Board. The goal is to construct a building that has “a rustic, but sophisticated New England aesthetic inside and out,” according to materials submitted to the board earlier this fall. Chamberlain could not be reached for comment before the Current’s print deadline, so it’s unclear when construction would begin or who would ultimately operate the restaurant. But, Martin said, “I think the realization of the commercial section of Dunstan Crossing will be exciting for the area and for Scarborough” as a whole. O’Reilly’s Cure, the new restaurant and pub adjacent to Scarborough Grounds in Oak Hill, is owned and operated by former Town Councilor Patrick O’Reilly and his wife, Sue. The goal for the restuarant was to “create a welcoming, upscale pub-style atmosphere with great food and drink and excellent customer service,” Sue O’Reilly said in a prior interview. She said the couple chose Oak Hill for their new venture because “it is the hub of activities in Scarborough.” The restaurant includes a 77-seat dining room and a 28-seat bar area and includes exposed 15-foot ceilings and full wall-sized windows. The menu includes American fare like ribeye steak, baked haddock and lobster macaroni and cheese, along with traditional Irish favorites such as Guinness beef stew, cottage pie and fish and chips. This former Tim Horton’s on Route 1 in Scarborough will be transformed into the third Holy Donut location. Hand-made Holy Donuts rely on Maine potatoes for their moist, fresh flavor, according to founder Leigh Kellis. The first commercial structure in the Dunstan Crossing neighborhood will go in at this site off Route 1, near the Saco town line. 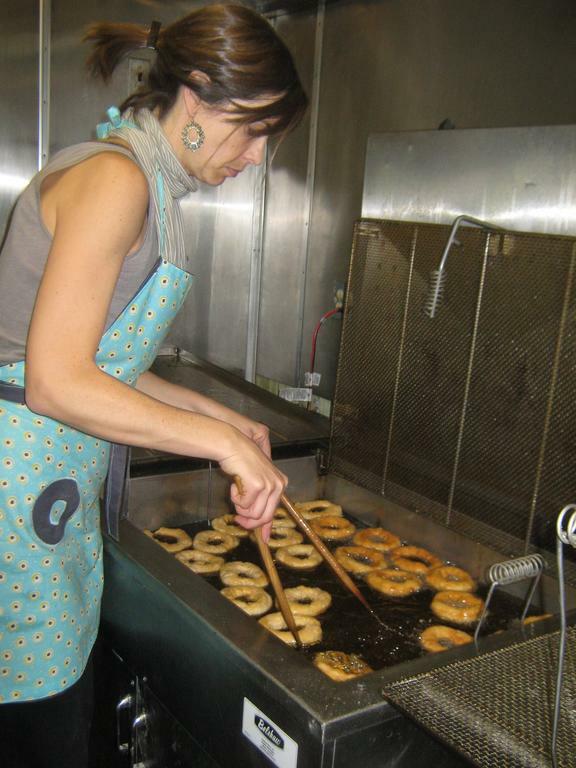 Leigh Kellis of Holy Donut fries up a batch of her potato-based doughnuts in canola oil.